My mother is from Clarksburg, West Virginia. 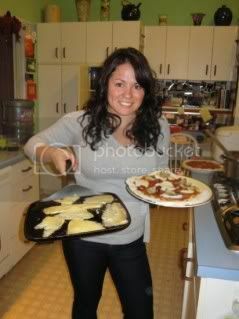 She is 100% Italian and our family (Spatafore and Vallelonga) is from Calabria, Italy. Most people don’t recognize, but Clarksburg is home to one of the biggest Italian festivals in the country and is chock full of Italian immigrants and families. In fact, the Italian Heritage Festival in Clarksburg has been rated among the “Top 100 Events in North America” by the ABA, a “Top 20 Event by the Southeast Tourism Society” & on of the “Top 4 Italian Festival’s” in the nation by the National Sons of Italy. I’ve written about our feast of seven fish on Christmas Eve and my Nunnie’s Easter Bread on Buona Pasqua. 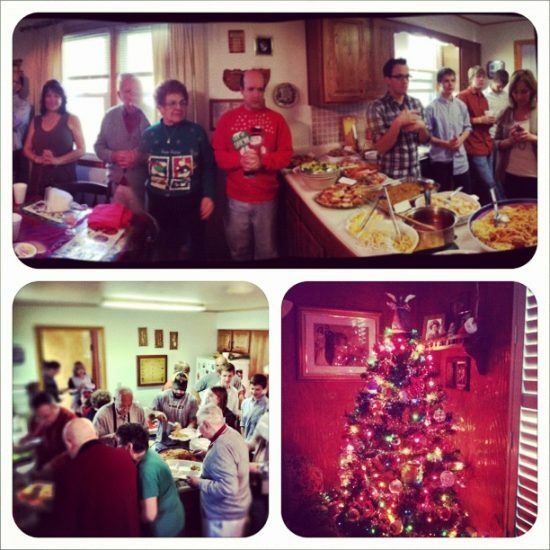 Our Christmas Eve usually involves 40 relatives (and that’s not nearly all of us). This past Christmas, I hopped around to the local deli’s and bakeries in Clarksburg with my Uncle Mike (also, my Godfather). Another reason I’m so excited to be writing about these spots, is because they have been part of my family’s food traditions for over 60 years. My Popo (below, in one of his two kitchens in their house) has been going down to the same bakeries and getting his ‘taly bread (hard crust is our favorite), baked fresh and part of every one of our meals since I was born. The best part is that most of these spots haven’t been covered before. You can’t even find websites, but the locals love and cherish the people and food. I’m excited to share this story with you. Follow me through these hole-in-the wall, traditional Italian spots in a place, that you would never suspect but is filled with Italian culture. D’Annunzio’s Italian Bread | Health Bread Co. 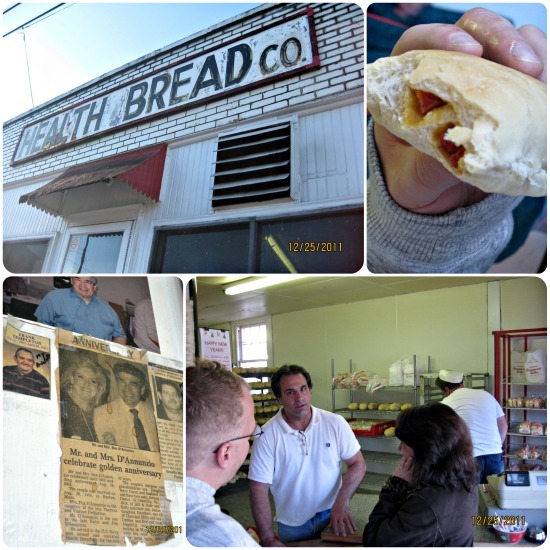 Since the 1920’s the D’Annunzio family has been running Health Bread. I toured around the bakery, watching bread rise in their room at 100 degrees humidity and fresh bread dough being cut and mixed with pepperoni for the pepperoni rolls. I asked Chris (family-run owner) how long they had been there, and he said since 9 PM the night before (we arrived at 9 AM). They take their bread and business seriously. Pepperoni rolls are a big piece of West Virginia culinary history. The origin is debatable, but from the 1920’s, it was a practical lunch for miners who needed food that was long-lasting and easy to bring around with them. They brought a piece of bread and a pepperoni. Guiseppe “Joseph “Argiro saw the miners and began baking rolls with pepperoni inside. It is thought to originated with Argiro, at the Country Club Bakery in Fairmont in 1927. During my research, I saw and heard questionable beliefs about the person or origin, but it’s clear that it was seen from the miners and their choice food. Nonethless, in many Italian locations around the country, I’ve never seen pepperoni rolls except in West Virginia. They’re a staple. It’s a combination of warm rolls, baked around spicy sticks of pepperoni, where the oils drip into the fluffy bread and hard crust. The more pepperoni, the better. I loved the family history of the D’Annunzio’s. 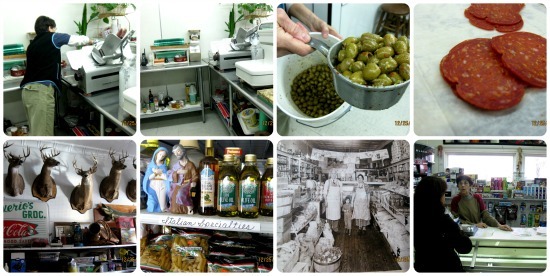 Tomaro’s has been a family business since 1914. It’s arguably, a competitor of D’Annunzio’s. 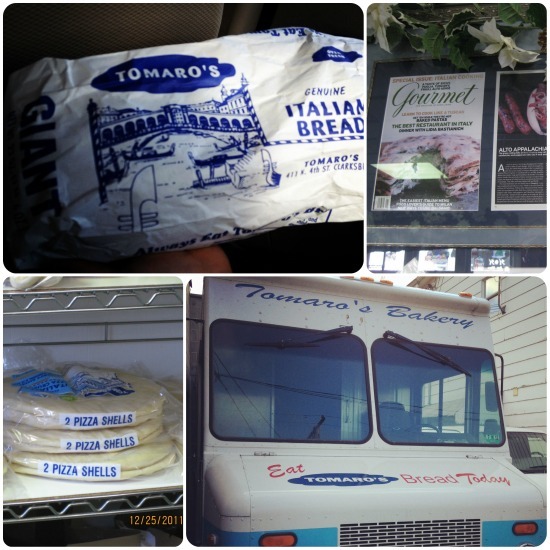 Their motto is great: Eat Tomaro’s bread today. The storefront is small, and it’s not uncommon to see a line out the door because only about 6 people can fit in the storefront. We ordered our bread piping hot (you can ask for it this way) and we immediately started tearing off pieces of hard crusted Italian bread as the steam was rising from our hands and mouth. With butter, it creamily melts in your mouth. This was one of the better pieces of bread I’ve ever had. Also worth noting, there happened to be more pepperoni on the pepperoni rolls at Tamaro’s than D’Annunzio’s in the batch we tried. This is a small neighborhood grocery store in the older neighborhood of Glen Elk of Clarksburg. I felt like I was in Europe when I walked in. The store has three main rows of shelves, filled with a plethora small batch grocery and food items. 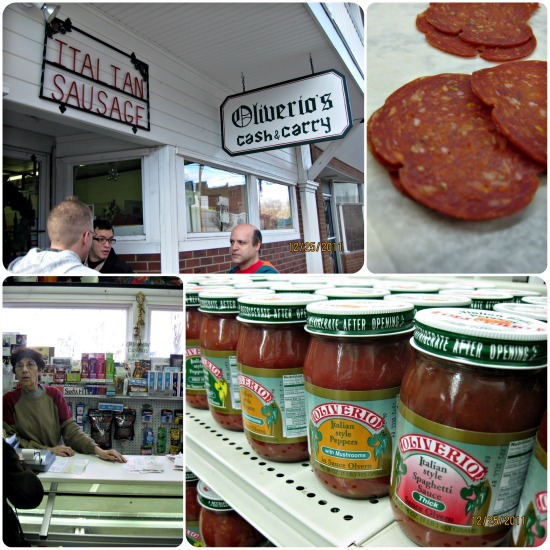 It’s has been family owned by the Oliverio’s. When we walked in we were greeted by sisters, Frances and Angie Oliverio (they asked me what a blog was). Their parents owned the restaurant in the 1930’s. In the back of the small grocery store is a hand-crank sausage machine and a room where they store their olive salad, filled with peppery spices. 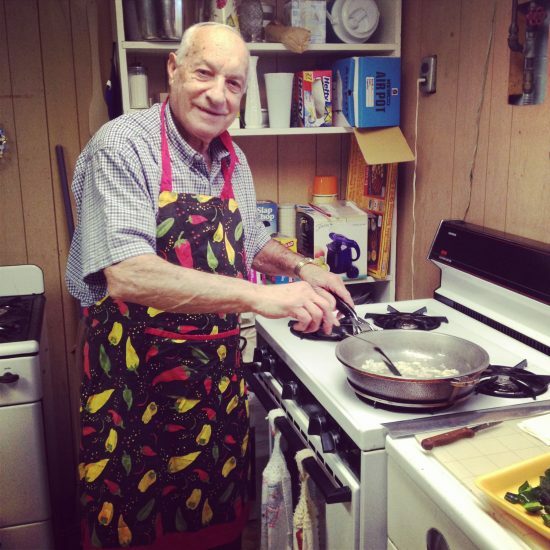 Frank Oliverio, their brother, also has his own line of sauces and peppers derived from their “Ma” Antoinette Oliverio, which you can find throughout the store and throughout many of the deli’s in West Virginia. Angie and Frances make 75-100 pounds of sausage each week, Calabrese style salami. We tasted the ripe, black and green olives filled with bright red pepper flakes. The taste is bright and spicy, and the olives burst with juice as you bight into them, mixed with the hot salami slices. As we left the quaint store, a corner of the block lost power due to an accident and the lights shuddered off. Somehow, it felt right, like in the old country, as Frances hand-wrote our bill on paper and gave us hugs as we left. Located in North View, the Italian neighborhood my family lives in, is Marino Brothers deli, home of the “Big John” Italian sausage sandwich. They have homemade meats, cheese and peppers and also have items you can order off the menu like hearty subs and spaghetti. Like the rest of the locations we visited, the interior is nothing to write home about, but the food is where the heart is. Great post Gracie! I’ll forever be addicted to pepperoni rolls now! Great Blog Grace. Thanks for sharing some of our Italian families’ cultural heritage. You make us all proud. It was fun to write 🙂 Most of them didn’t even have a website! Grace– Loved your blog! You did a great job and it makes me proud to be from Clarksburg and have the Italian decesent in me. Thanks for sharing!! P.S. It was nice to see pics of your family too! They will always hold a special place in my heart! Aw thanks and good to hear from you – I hope all is well 🙂 This was fun to do, definitely had to pay homage after all the years. 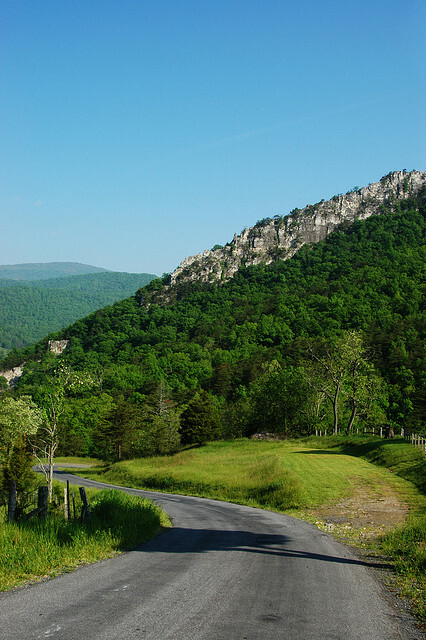 It was fun for me to visit each spot because even though I grew up in Clarksburg, I had not been to each of these spots. Loved it! Great job capturing the experience. My grandfather was from Vallelonga, Calabria! It’s really a very tiny town. Yes indeed! What is your family’s name? Love this blog….my mothers family came from Calabria, then to Harrisburg then to Clarksburg..I moved to Boulder in the 80’s. What a small world.